The Homer Laughlin 452107 Fiesta cup has a 73⁄4 ounce capacity for coffee, tea, and other hot beverages. 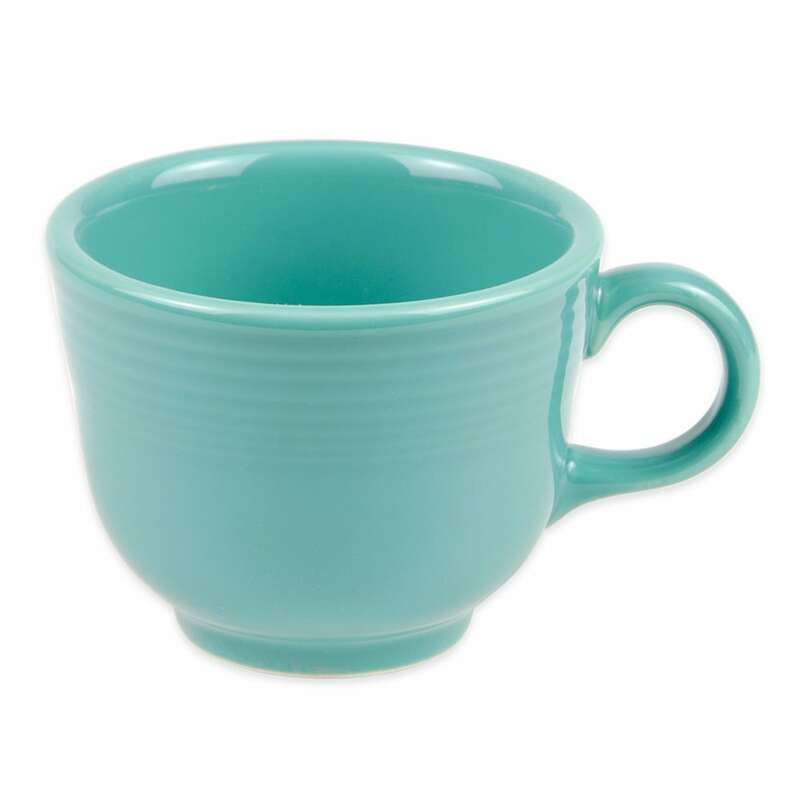 Its turquoise color creates a relaxing design scheme at your tabletop. The china construction of the dish makes it heavy duty for constant use in commercial applications while reducing the risk of chipping and scratching. Strength is gained from the vitrification process, also making the dish nonporous. The Homer Laughlin 452107 Fiesta cup pairs with the Homer Laughlin 470107 Fiesta saucer for a complete set.